EVO Leisure (the makers of Third Eye Tactical products) provided four brand-new EVO F-TR bipods for review and testing. When we collected the bipods from Stuart Anselm of Osprey Rifles, the European and Worldwide exporter of Third Eye Tactical products, I was struck by the lightness of the bipods. Carrying four bipods under one arm, I noted how light, neat, and tidy they were. Build-quality is excellent, as one might expect from a Third Eye Tactical product. 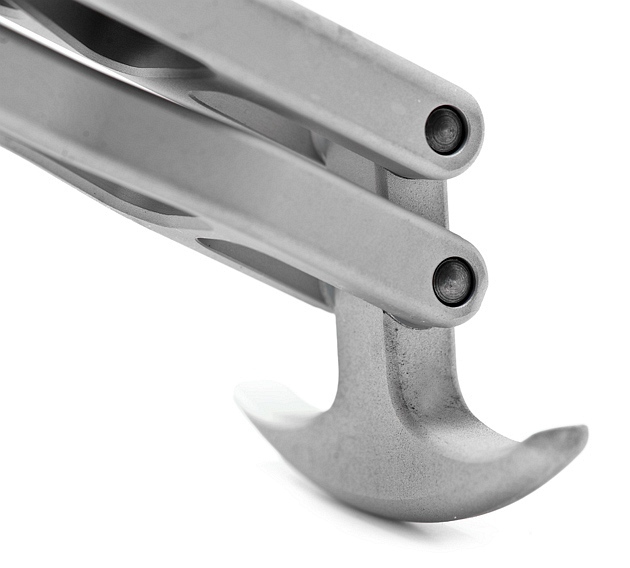 Manufactured from what appears to be hard-anodized CNC-machined solid aluminum parts — each element appears to have been machined from solid billet aluminum. No pressed- or sintered-aluminum parts here! These EVO-FTR bipods are available in two colors: A very tacticool satin black and a nice satin gray. The finish appears to be hard-anodized, rather than painted or powder-coated. Milled from solid aluminum, the structural integrity is retained, while reducing the weight, by machining out sections of the aluminum to form a “honey-comb” or lattice-structure within the leg elements, on the underside. Vertical adjustment is by way of a capstan turn-wheel, readily accessible from the prone position (even for those with short arms). The vertical adjustment is fast yet positive. When set, there doesn’t appear to have any play or backlash. 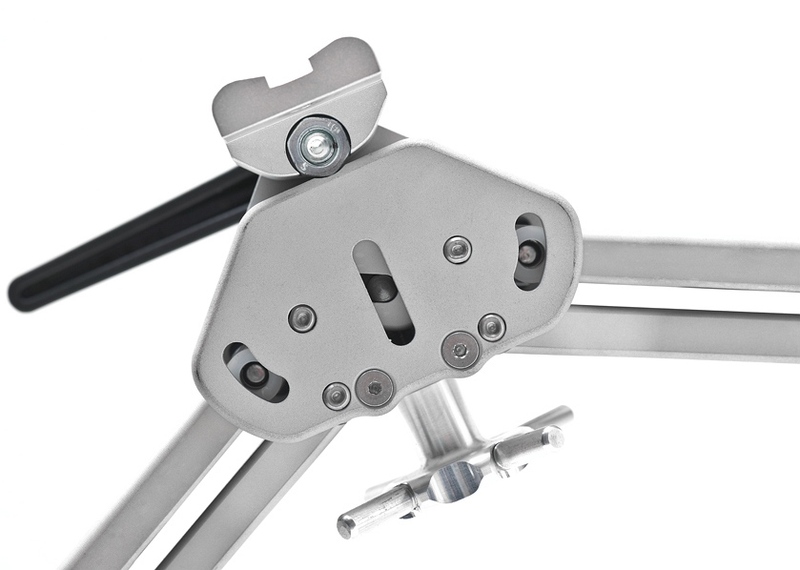 The aluminum feet are decent-sized, 75mm-long curved sled-feet, finished to match the bipod. Attachment to the rifle is by way of an aluminum mounting-block which fits quickly and neatly to a standard Universal Rail. 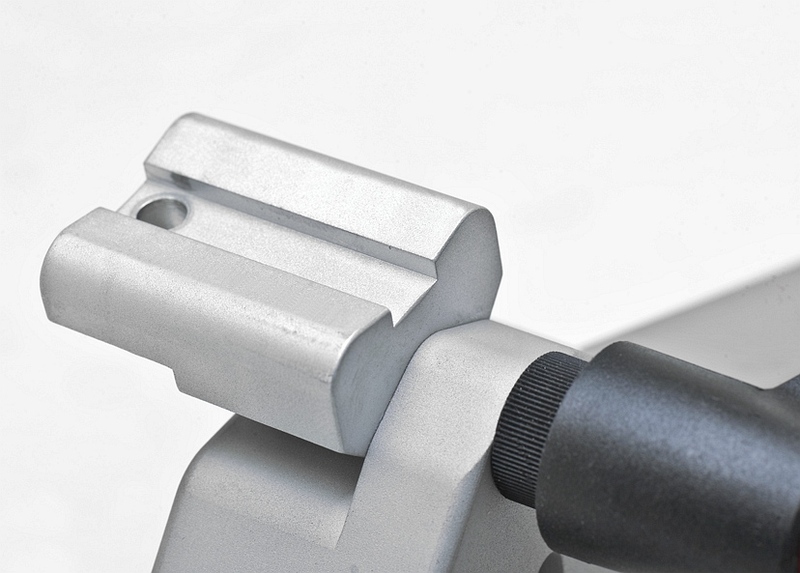 Securing the mount is by way of a PodLoc-type lever and fixing is positive and secure. Also available from Osprey Rifles is a mount for a standard-sized QD sling-stud. 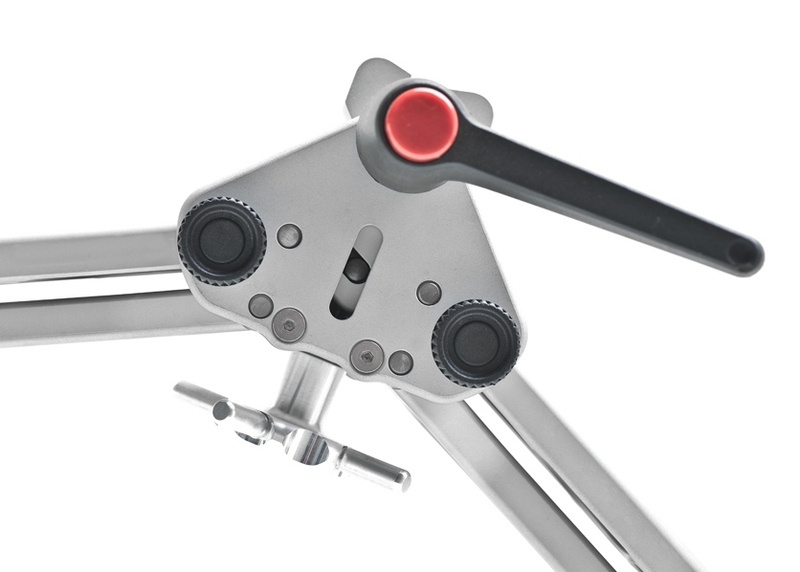 The adjustment for cant is also easily provided by way of a Podloc lever and has a wide range. Again, this can be operated and adjusted while in the prone position. To provide two qualified opinions and to ensure that the new bipods were truly put through their paces, the reviewer, Alan de Lacy, was duly assisted by his regular F-TR team-mate and shooting-buddy, Adrian Casey. After some initial short-range bench-testing completed, we headed out to the 1000-yard Firing Line for the serious field-test. As F-TR shooters, we were shooting prone from-the-ground at 1000 yards onto the standard ICFRA F-Class 800-1000 yard target. The .308 Win rifles used in the range-test were a factory Sako TRG-22 (with a custom 32″ barrel) and a Savage 12 FTR (with custom 32″ barrel and stock). Both rifles had Anschutz-type UIT Universal accessory rails to which the bipods were attached. Both rifles are tried and tested in national and international competitions. Adjustment (Range and Ease of Use) – The range of vertical adjustment is excellent as is the speed with which the EVO can be adjusted. A couple of quick rotations (3 or 4) of the capstan-wheel and the cross-hairs were on the target. No more time-consuming fiddling to bring the cross-hairs out of the vegetation or down from the clouds! While the vertical adjustment is as fast and extensive as we’ve seen on any F/TR bipod, the capstan-wheel also allows for a surprisingly welcome amount of fine-tuning of the vertical point-of-aim. The fine-tune vertical adjustment is positive and solid. Both guns stayed in position and the scopes’ point-of-aim did not falter once during the entire range-day. Solidity – Throughout the day’s shooting, the rifles remain solidly planted in position. Any initial misgivings we may have had about a small amount of slack and looseness “in-the-hand” were dispelled once the ‘pods were fitted onto the rifles and weight of the guns loaded onto the bipods. Set-up on the firing point, the bipods (and the rifles) were rock-solid. Tracking – Over the day, both shooters fired the equivalent of roughly three details each, all at 1000 yards, with over 100 rounds sent down-range. Rifle tracking and the guns’ return-to-battery were exceptional. 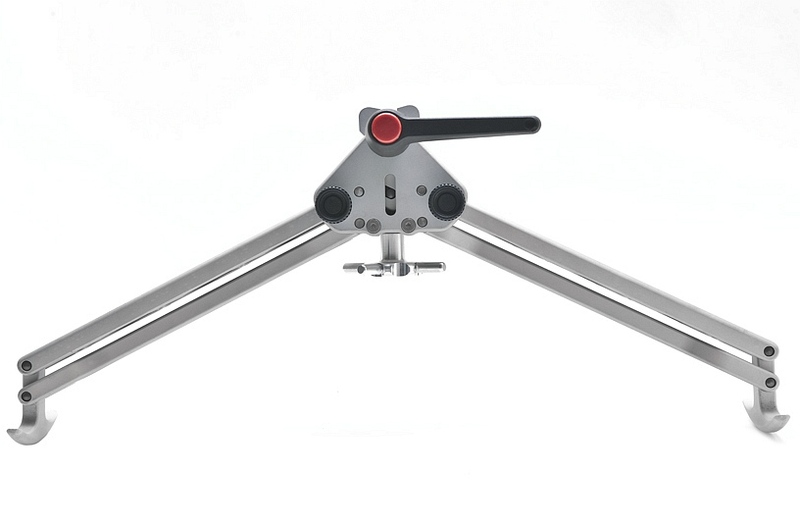 “What I like best about this bipod is it tracks like it’s on rails”, commented tester Adrian. Craig Coote of Third Eye Tactical, with design input from 2011 Euro F-Class FTR Champion Stuart Anselm, has produced one of the best bipods we have had the pleasure of using. Adrian was so impressed with the one he tested, he wouldn’t hand it back! While there are indeed lighter bipods and there are cheaper bipods, we think the EVO F-TR bipod has set a benchmark in terms of build-quality, adjustment, and ease of use. This bipod, while aimed squarely toward the F-Class F-TR market, would be equally at home on any range and in other disciplines. 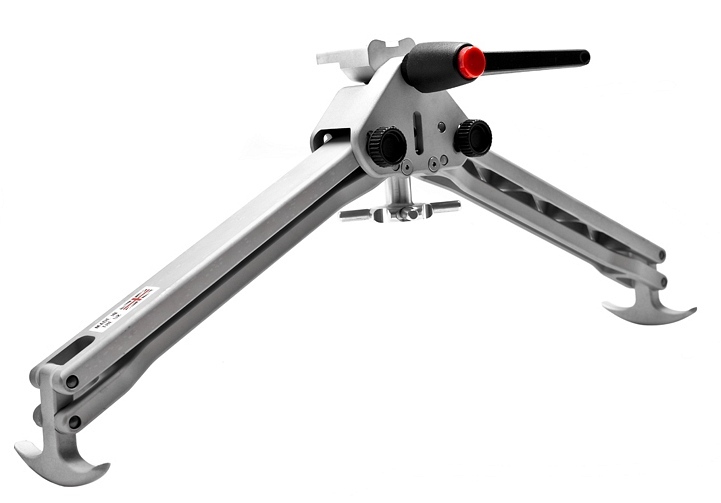 Everyone who has tested and inspected this new bipod is convinced that we’ve found a cost-effective, performance-for-weight optimized, great-tracking and great-looking new piece of equipment. A more detailed version of this review originally appeared on the F-TR Ireland Facebook Page. CLICK HERE to read full review with more field test information and shooter comments. Share the post "Gear Review: EVO F-TR Bipod from Third Eye Tactical"
MidwayUSA is offering blemished bullets at very significant discounts — up to 51% off normal pricing. These are quality bullets from major manufacturers. However, they may have a variety of superficial external flaws, such as waterspots, discoloration, or tarnished jackets. If you need bullets for plinking, varminting, or game hunting, you can save big bucks with these “blems”. For example, .224-caliber 55gr Soft-Point bullets (stock #324450) are now just $9.79 per hundred! And you can save on large-caliber bullets as well. One of our researchers just ordered some .338 blems for fire-forming purposes. Sale Find by EdLongrange. We welcome reader submissions. Share the post "Big Savings on “Blem” Bullets at MidwayUSA"